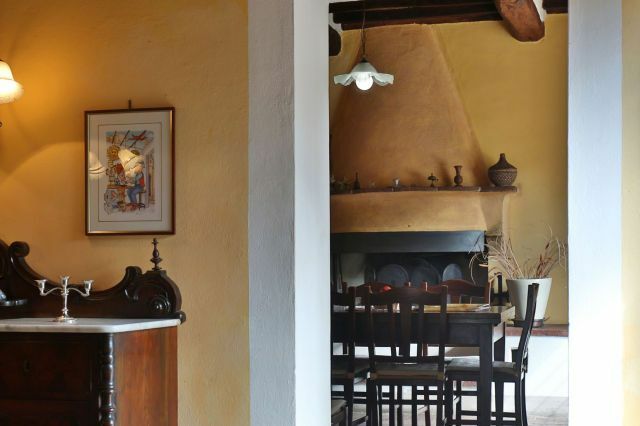 A lovely farmhouse located in the Maulina hills on a vast Tuscan estate . 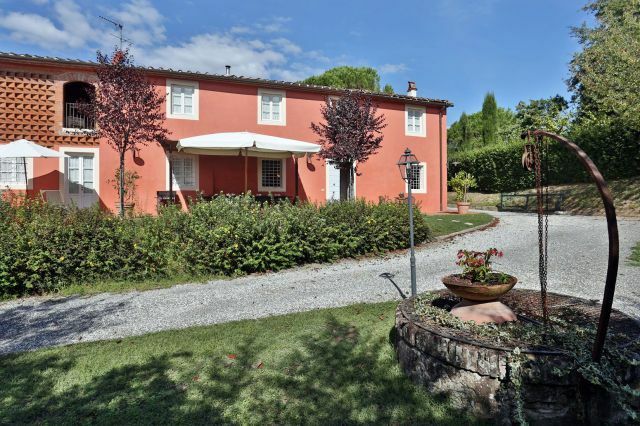 The Maulina area is famous for its wine and is renowned as being one of the most exclusive residential areas around Lucca which is only 4 km away. There is a tennis court within walking distance (500 metres away). Riding stables are within easy reach 5 Km away. 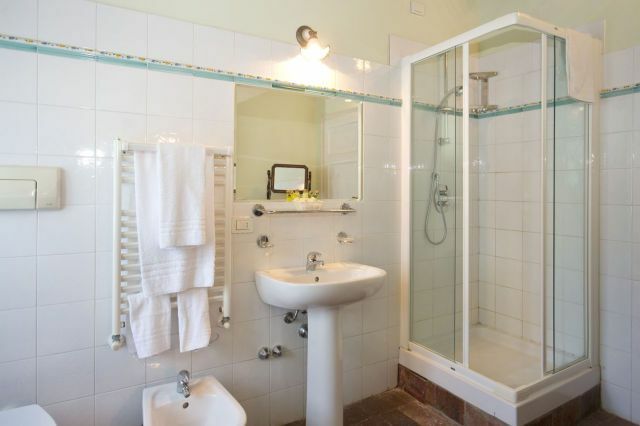 This well presented property also benefits from wi-fi and satellite TV. Cook service and wine tasting tours available. The property is situated on the same estate as another villa and used to be one of the farmers’ houses. 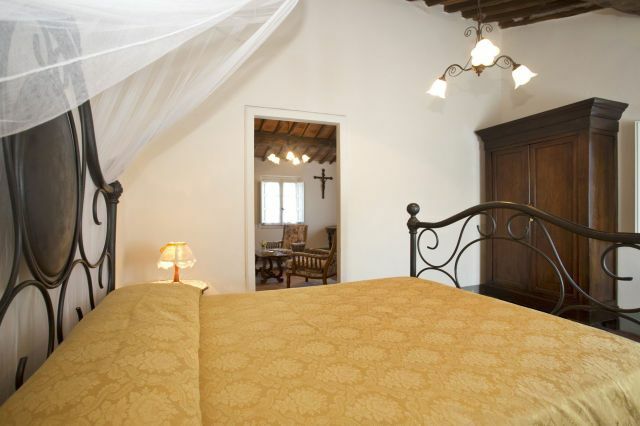 It has been totally restored, and the interiors have been furnished with original pieces of Tuscan furniture to preserve the original character. 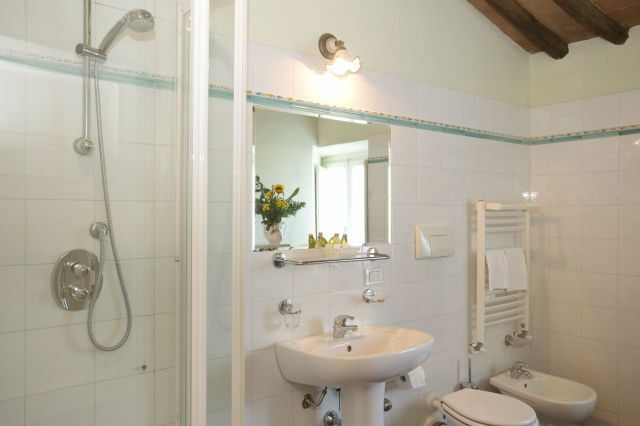 One of the rooms has facilities for disabled guests and all bedrooms are en-suite. The garden and swimming pool have been positioned on the opposite side of the other villa to assure total privacy. The area is ideal for people looking for a quiet location, yet at same time wishing to be close to a town. In fact, the walled medieval town of Lucca is only 10 minutes away. Also, as it is only 6 km from the nearest motorway exit, it is an ideal base for visiting the main towns of Tuscany. There is a tennis club within walking distance of the house. The helpful caretakers live on the estate, in a separate apartment. Ground Floor: Kitchen; dining room with fireplace; sitting room opening on to a terrace furnished for eating outside; master bedroom, double bedroom; twin bedroom; 2 bathrooms with shower (one of which is suitable for a wheelchair); bathroom. First Floor: Master twin bedroom with en-suite bathroom (shower only) and private terrace; master bedroom with en-suite bathroom (shower only); double bedroom with en-suite bathroom (shower only). Maid sevrice is included 2 hours per day, 3 days a week.